The Tower, back drive entrance. Spring time at the Convent, memories of walking back from PE class or lunch break. 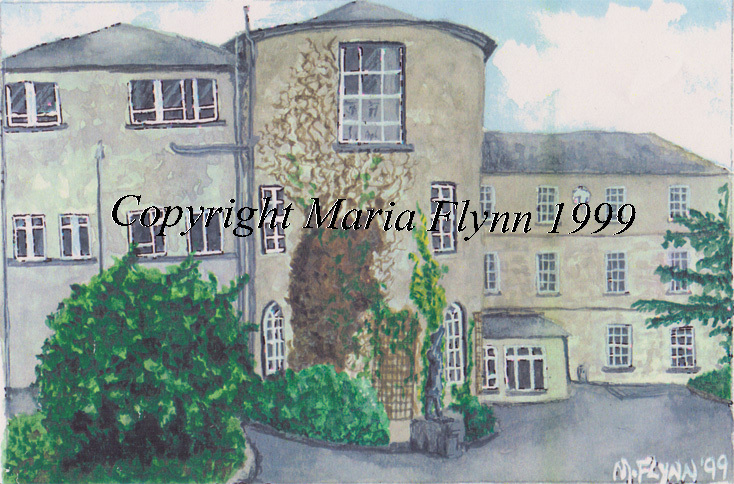 These are prints of watercolour paintings that were painted for the last reunion at the Convent in 1999. All original paintings sold that day, but now for the first time in 11 years I'm offering prints of them! Luckily I had all paintings scanned at Donal O' Sullivans before they sold! They are professionally printed at 300dpi on highest grade satin paper. Delivery: Sent in a strong card tube. Normally takes 7-12 days for printing and delivery.